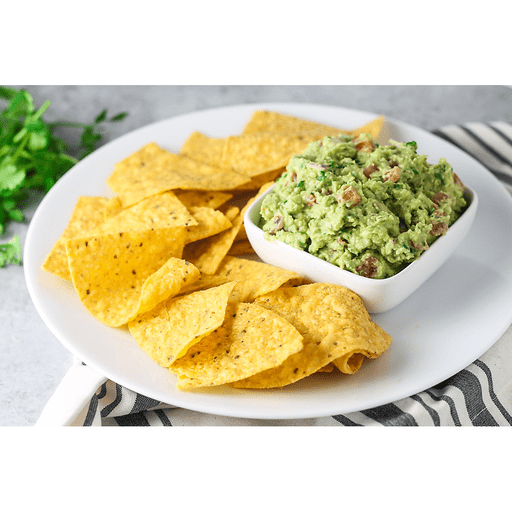 Packed with fresh ingredients, this Chunky Fresh Guacamole is sure to please! 1. Place avocados in a bowl and mash with a fork, leaving some chunks. 1. Add the remaining ingredients and mix well. 1. Season to taste with salt and pepper. Serve. Guacamole is best made as close to serving as possible. For short-term storage, place a piece of plastic wrap against the surface of the guacamole and seal in an airtight container. Use a white or yellow onion in place of red onion. Use a jalapeno pepper in place of the serrano pepper. Calories 170, Total Fat 15g (Saturated 2g, Trans 0g), Cholesterol 0mg, Sodium 10mg, Total Carbohydrate 10g (Dietary Fiber 7g, Sugars 1g), Protein 2g, Vitamin A 6%, Vitamin C 25%, Calcium 2%, Iron 4% *Nutritional values are an approximation. Actual nutritional values may vary due to preparation techniques, variations related to suppliers, regional and seasonal differences, or rounding.